Putters are some of the essential equipments that Branson Golf Club Rentals offered to golfers. Whether you are a golf neophyte or a seasoned golfer, the use of the good putters that are just ideal for you can really help improve your putting. Many of the professional golfers are aware that putting is the most crucial action in golf. With the use of the right putter, even if you are a beginner, you can become confident in playing this challenging game. Here are the top 3 putters that are ideal for beginners. The Two-Way Putter (left and right hand) is an excellent putter for golf beginners. The advantage on using the two-way putter is that it can be used by both left- and right-handed golfers. Left-handed golfers usually miss out on good golf equipments because of their choice of dominant limb. This kind of putter can be used with putting greens in the house or offices for recreation or practice. It can entertain the golfing crowd of beginner and pro golfers regardless of whether they are right-handed or left-handed. This putter is an excellent club to do just what you would expect. The symmetrical design is so good so that both right and left-handed golfers can use easily. This putter for beginners is good for people with a height of 5’8” and up. The weight of 1 pound approximately of the putter gives more comfort to most golfers. You can have a sturdy grip with this kind of putter. It does not integrate even after so many uses. The club itself is well-built and has a long-lasting club head. It is simply constructed, has a good weight and has a nice grip. This blade-style putter features a classic design which is easy for the learners. This putter is so affordable considering it is a two-way club. Pinemeadow Golf Men’s PGX Putter is also one of the top 3 putters perfect for beginners. This putter has a surprisingly hi-end performance for its moderate price and can rival expensive golf club sets. This is a great putter for the faster greens that are prevalent these days. At 380g and 40g clubhead, this is one of the best putters for beginners because it is tour-weighted. The club has a headcover which keeps the sensitive mallet head safe against scratches. Wilson Men’s Augusta Golf Putter is perfect for any golfer. Whether you are right-handed, left-handed, a beginner or a pro, the Augusta putter performs at a high level. As one of Wilson’s popular products, the Augusta putter features a brass blade-style head, steel shaft and an all weather grip. 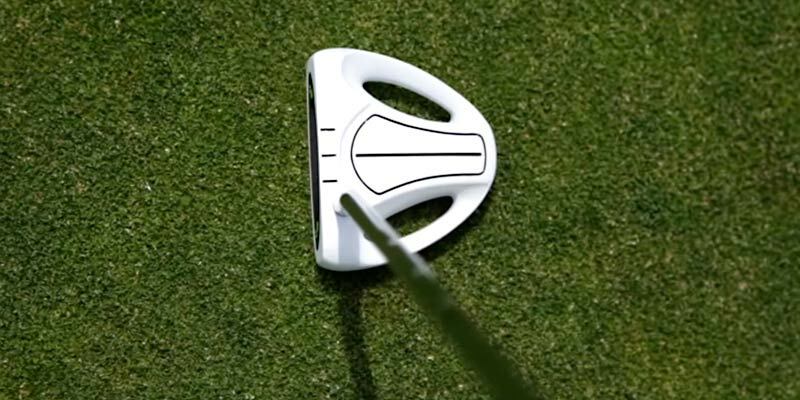 This putter can align itself to the needs of both beginners and professional golfers. Its simple design resonates with the needs of many golfers. As this is a blade-style putter and its clubhead made in bronze, this does not damage easily like the painted heads that chip readily at the slightest impact. Playing Branson golf can be challenging for beginners but with the use of good putters, they can easily improve their putting.